Day One of Voodoo Fest opened with a flurry of beats and dance moves, featuring a neon-lit cascade of performances from the likes of LCD Soundsystem, Marian Hill and TOKiMONSTA. 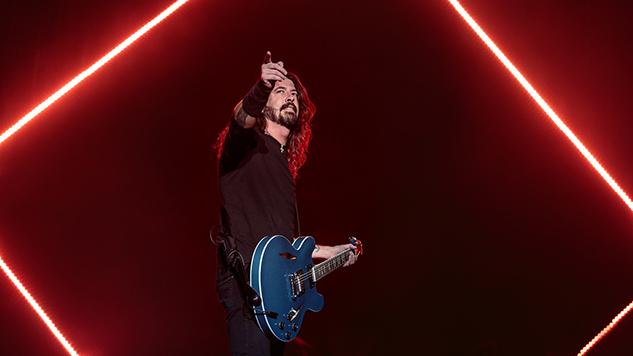 Yesterday was more concerned with raw, six-string catharsis, eschewing synths and samplers for tube-fed distortion as New Orleans rang with blistering sets from Foo Fighters, Brand New and Vintage Trouble. (Not to discount strong hip-hop plays from K.Flay, Pell and SuperDuperKyle.) Sarah Hess returns with more glorious photography from the frontlines of City Park in the gallery above. Check back tomorrow on All Hollows Eve (Eve) for coverage from the final day of Voodoo Fest, featuring The Killers.